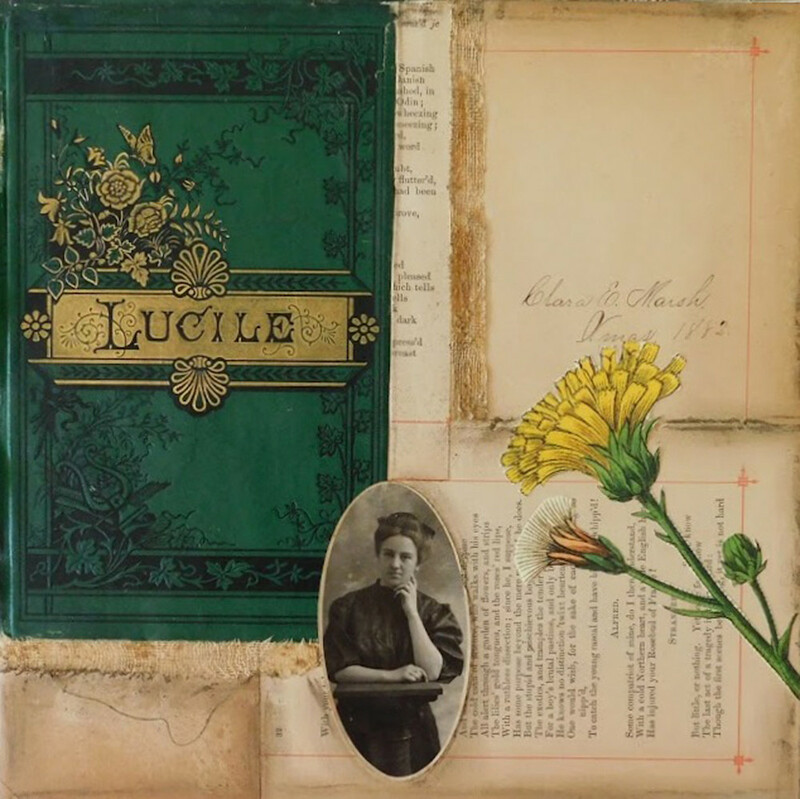 "Lucile" is a book from 1882 that was already falling apart, so I finished the job and deconstructed it. The cover, pages and cheesecloth binding are from the original book. I added the vintage photo and flower print.